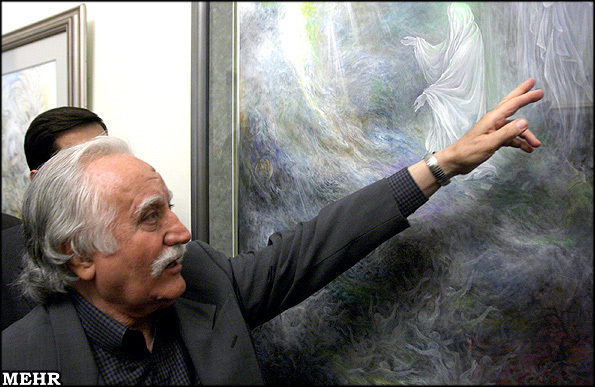 TEHRAN, May 17 (Mehr News Agency) -- Veteran Iranian painter Mahmud Farshchian unveiled four of his latest miniatures at the Farshchian Museum in Tehran's Sadabad Cultural Historical Complex on Friday. 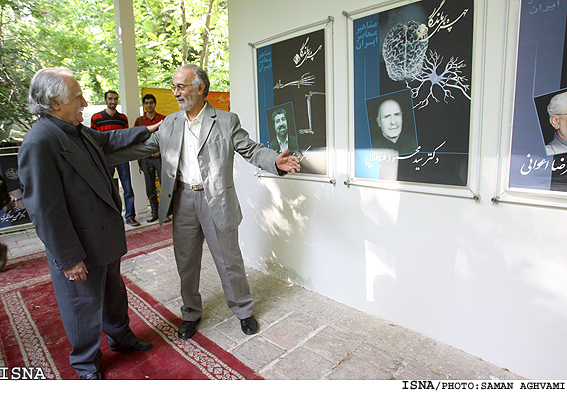 The works "The Annoyance", "Wildlife", "Flourishing", and "The Dense Cloud" were displayed for the public during a ceremony attended by a number of cultural figures and artists from various fields. 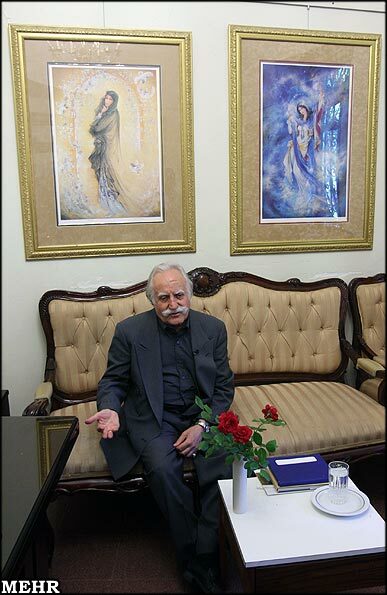 "In contrast to many artworks which depict weak animals being beaten by the strong ones, in 'Wildlife', I have tried to create an atmosphere to show how the weak can overwhelm the powerful," Farshchian said during the ceremony. "'The Annoyance' shows a number of animals being irritated by another group of animals and 'The Dense Cloud', which depicts a man relocating the clouds, expresses man's aptitude for the impossible. 'Flourishing' is about a man who is trying to make the world blissful in order to express his generosity to the world," he explained. Collectors have loaned Farshchian's "Ghadir Khumm", a miniature on the theme of the appointment of Imam Ali (AS) as the first Imam, and "Kowsar", a miniature on the theme of the birth of Hazrat Fatemeh (SA) for displaying in the ceremony. "Making connection between the worldly and the divine subjects was a problem I faced in the creation of 'Ghadir Khumm'. 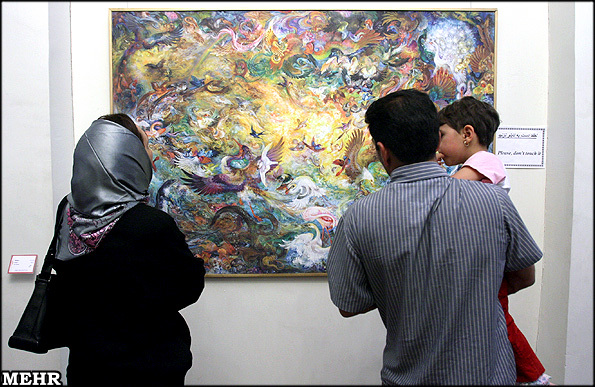 I overcame the problem through using color and highlights," Farshchian said. The Farshchian Museum was established in 2001. It is home to over seventy works by the 78-year-old painter and miniaturist that he donated to the Cultural Heritage and Tourism, and Handicrafts Organization. Simple drawings by the master kept in the storeroom of the museum were stolen by one of the museum workers in 2005. The fate of the works is still unknown.